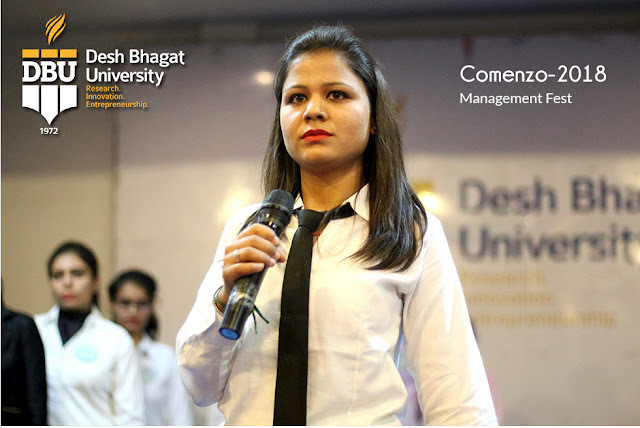 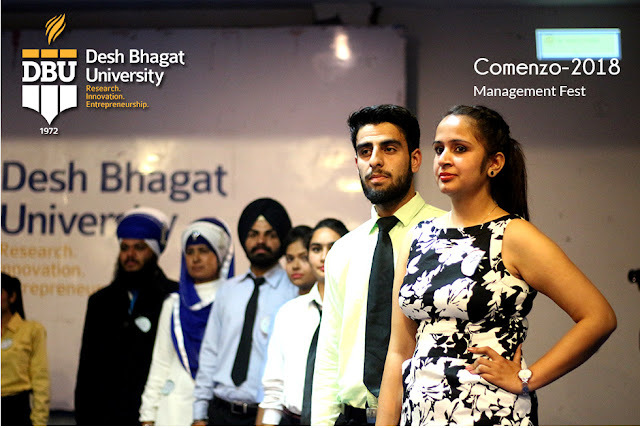 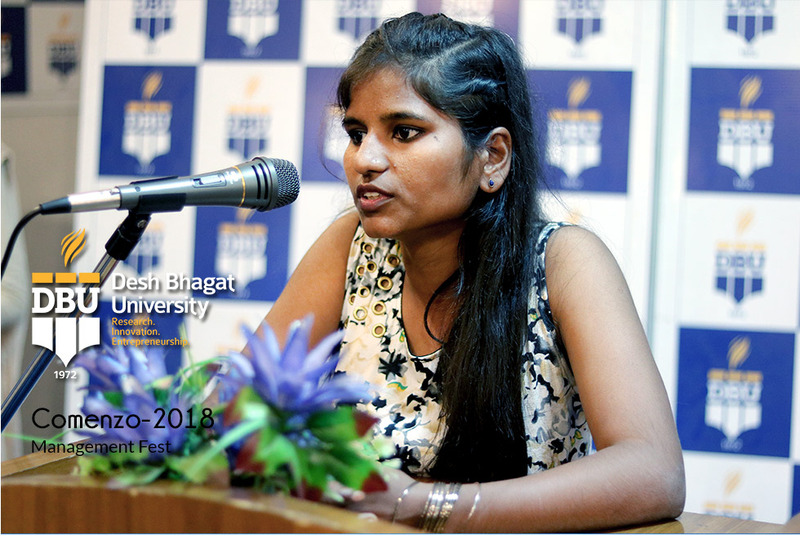 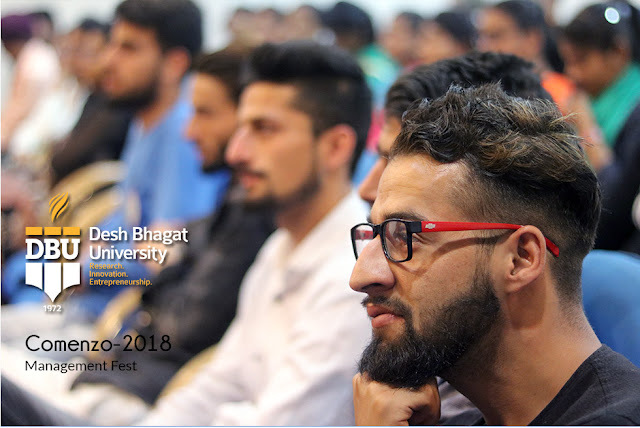 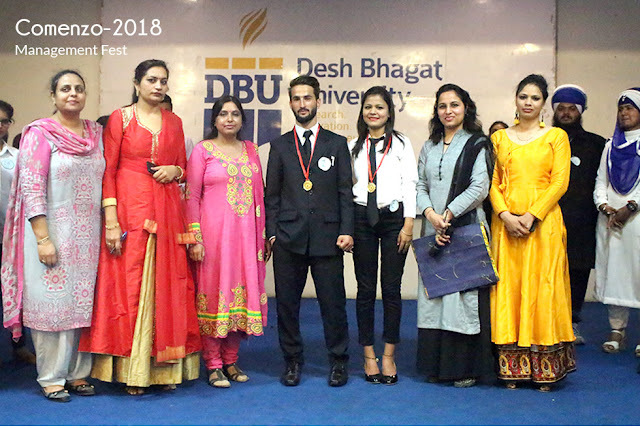 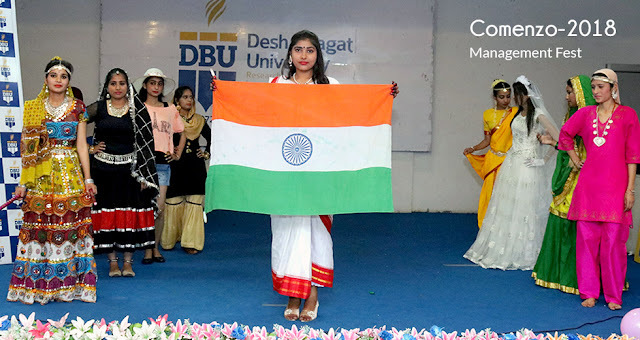 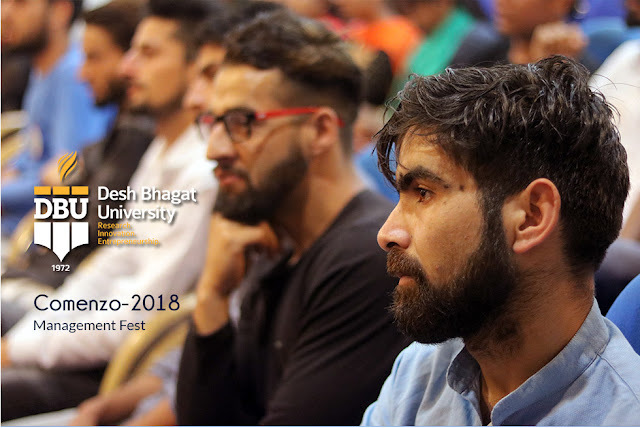 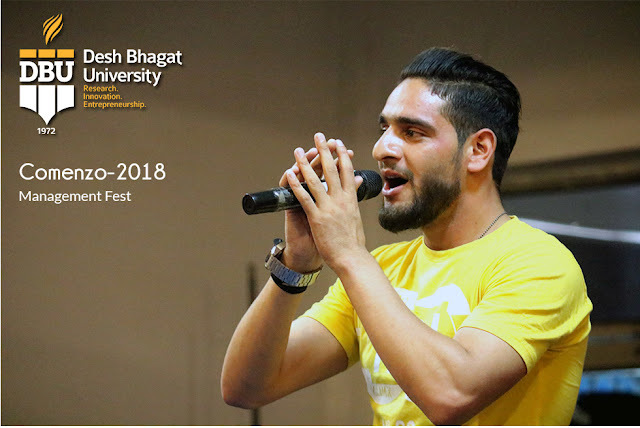 Management Club Fest, Comenzo-2018 was celebrated with lot of enthusiasm by the students and staff of Desh Bhagat University, in best university in Punjab. 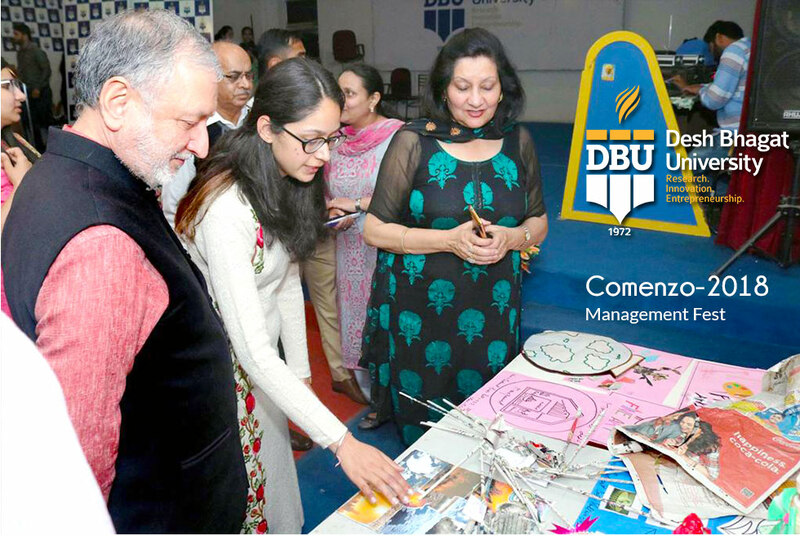 The event proved to be a source of healthy entertainment and a stage for environmental awareness. University Chancellor Dr. Zora Singh inaugurated this mega event and said that such kind of programmes imparts knowledge and recreation, and this is a platform for students to explore and exhibit their talent and enhance their skills. 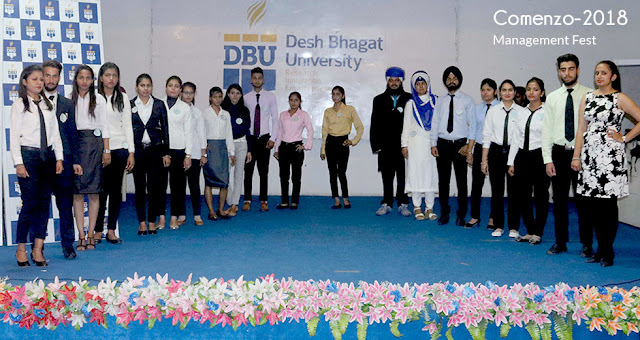 Giving more details, Pro Chancellor Dr. Tajinder Kaur said that the students from different classes participated with full zeal and exhibited their talents through different competitions like Collage Making, Face Painting, Extempore, Quiz, Radio Mania, Karaoke, Khojo Toh Jano ‘Treasurer Hunt’, Corporate Walk, Ad Mad, Group Discussion, and PPT. The star attraction of the event, which stole the show was the fashion parade ‘Unity in Diversity’ demonstrating culture of different states. Dr. Kaur said that the objective of this programme was to bring out the hidden talents of the students and channelize their energies in right direction. 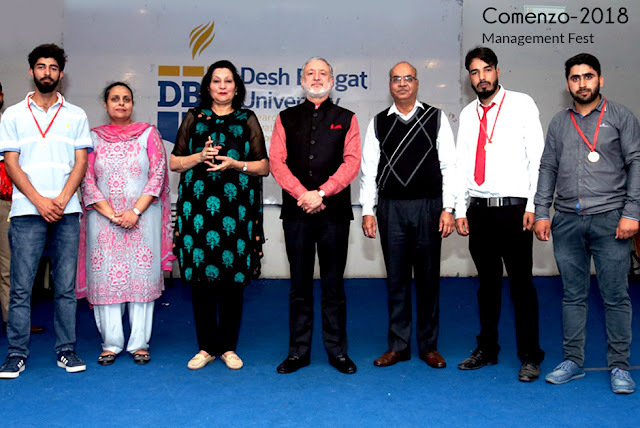 Later, the winners of different competitions were honoured by university officials. 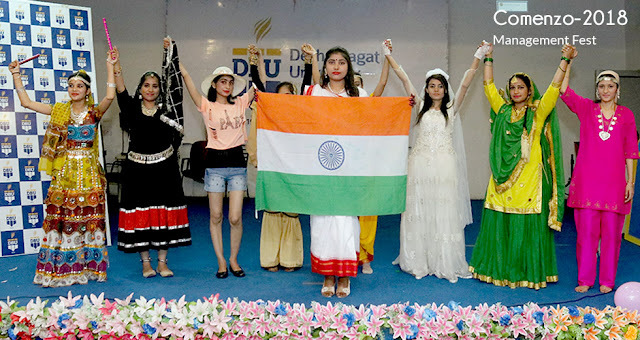 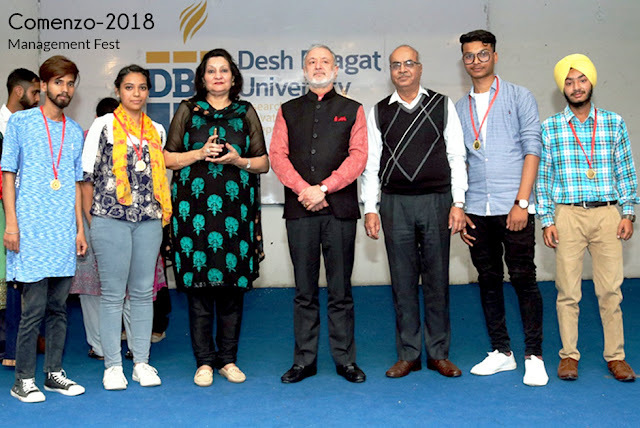 In best university in Punjab, Desh Bhagat University's Vice-Chancellor, Dr. Virinder Singh appreciated the initiative and appealed to the students to keep away from all kind of drugs and prove their talent through this kind of programmes.